01-01-2013: I've started as a Reservoir Engineer for the Carbonate Research Team of Shell Global Solutions B.V..
01-10-2008: You can call me herr doktor ;-). 05-5-2008: Physical Review Letters Article published online. 24-3-2008: Started as Consultant for a major oil company. 03-3-2008: Started at Alten Nederland. 29-2-2008: My last day as a PhD student at the UvA. Hi, welcome to my vanity domain! The place to be for people who type my name into their google search box ;-). The content of this page is mostly taken from my old scientific website at the University of Amsterdam, where I did a PhD in Physics at the Van 't Hoff Institute of Molecular Sciences, in the group of Computational Chemistry and Physics. Since then I've worked for four and a half years as a consultant in simulation and modelling. In that time I developped new fluid modelling capabilities for Shell's in-house reservoir simulator. In Januari 2013 I joined Shell as a permanent staff member, as a Reservoir Engineer for the Carbonate Research Team, which since July 2018 is called the Geology and New Reservoir Types Team. 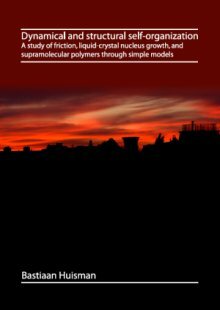 A study of friction, liquid-crystal nucleus growth, and supramolecular polymers though simple models. has been published electronically. You can read it here, at the library of the University of Amsterdam. Please e-mail me if you want a physical copy.